AusTrips are fully licenced travel agents based in Devonport, Tasmania. 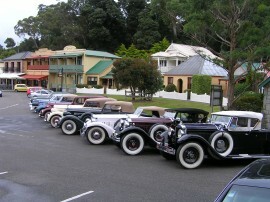 We specialise in developing customised tours for the group market including car clubs and enthusiasts. We work closely with the Spirit of Tasmania and can provide a one stop shop to help you create an unforgettable Tasmanian rally. Through our buying power we can supply very competitive quotes that include transport on the Spirit, accommodation, attractions, local backup and support. AusTrips have won the 2012 & 2013 Tasmanian Tourism Awards and received Bronze in the 2012 Qantas Australian Tourism Awards. You can be rest assured that you’re in capable experienced hands.